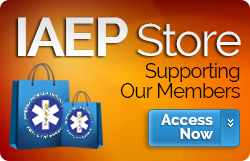 Where can IAEP Local Executive Board Members, Officers, and Shop Stewards go to keep up-to-date on information pertinent to the administration of and representation of their IAEP local? As frontline leaders at the worksite, IAEP officers and stewards are required to wear many hats. They are problem solvers, educators, organizers, and communicators. They are an integral part of a strong local that protects the rights and benefits of its members. And as always, they are supported by IAEP and NAGE professional staff members. To the right are Grey buttons containing specific information for local Executive Board Members, Officers, and Shop Stewards. These pages contain useful information and tips for successfully performing your duties and responsbilities as a steward, officer, or leader of your local. Topics can include a brief video and additional resources.